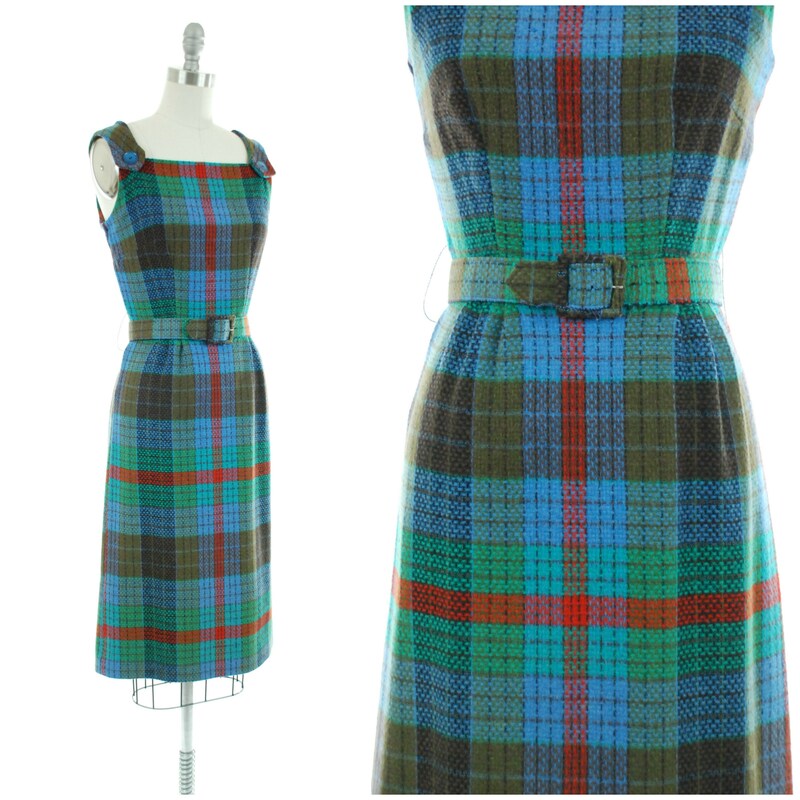 Vintage 1950s dress is a fabulously bright, cherry plaid. The woven wool is lovely and soft. I love sleeveless frocks paired with blouses for the cold season. Blue, brown, bright red, bright green and black make a wide macro plaid. The straps have button accents. It closes up the back with a sturdy metal zipper. 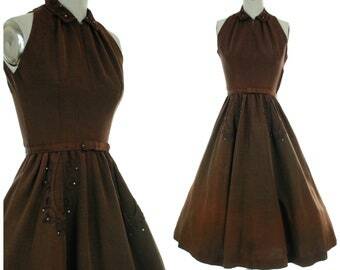 This dress is clean and ready to wear. The color is strong, and I cannot find a single moth chew. I find no other issues to note!